While both Rhys Fulber and Poe (producer and singer, respectively) did great jobs on the original verson, it is Lorimer that really adds something special, providing a brilliant arrangement & timing throughout. The breakdown in the "centre" gives me chills. One of my favorite commercial dance tracks of the period. 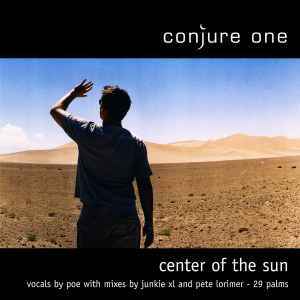 Without a doubt one of the best releases from Conjure One. I've always liked the original and these remixes really do the magic for me (maybe because of my trance & prog house fanatism). 29 Palms Remix impresses with it's abstract point of view with the remix and it still combines it with a little bit higher tempo. Junkie XL Remix works great with the vocals and the arrangement is fabolous. Overall I'd say having this release in vinyl format is a blessing.